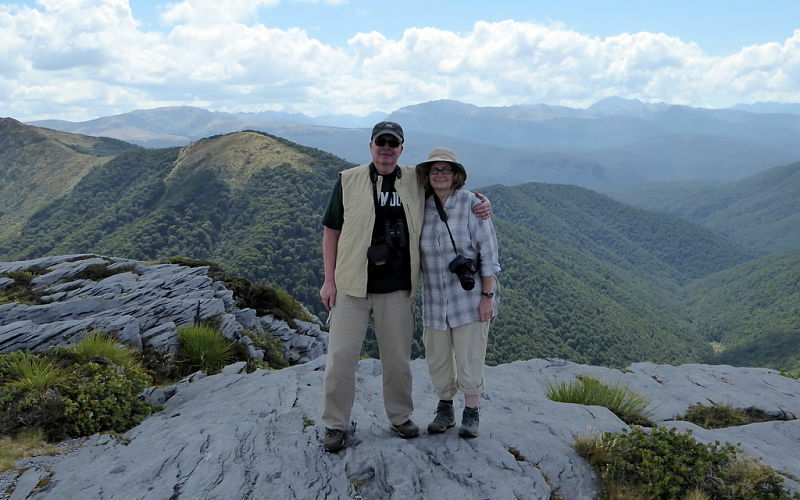 An easily accessed scenic mountain hike on the Eastern edge of our second largest National Park. 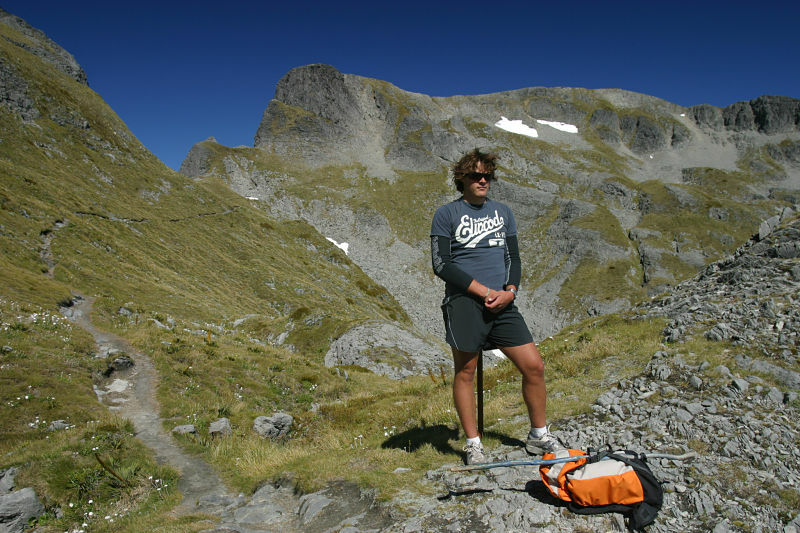 Mt Arthur (1795 metres) is a peak on the eastern boundary of the 500,000 hectare (1 million acre) Kahurangi National Park, and its alpine environment, vegetation, caves and karst landscape are one of the most easily accessible and dramatic regions in the Nelson area. 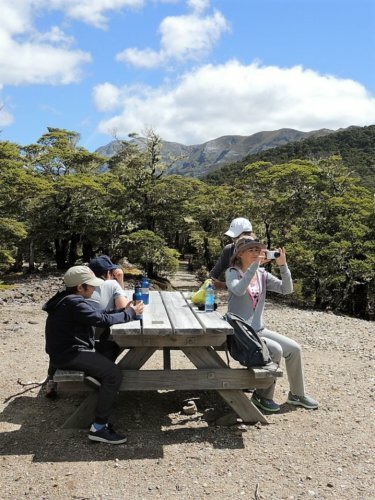 The access to this wonderful day walk is the Flora carpark road, which ascends to 960 metres, and is one of the highest access roads in New Zealand, providing us with an easily accessible alpine walk by vehicle. This means you are immediately walking in an alpine environment. 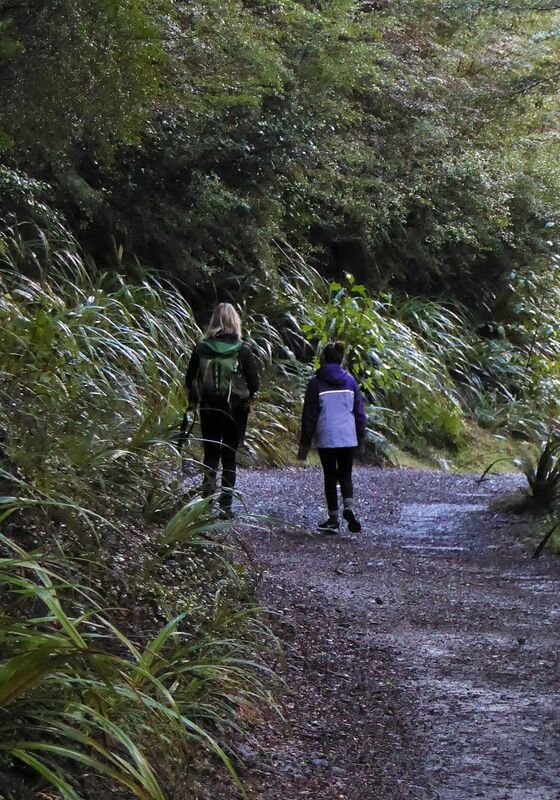 Leaving the carpark, the track rises through Flora Saddle and beautiful beech forest, then climbs gently through through the unusual mountain Nei Nei, (what we call the “Doctor Seuss” plant) for about an hour to Mount Arthur Hut, with superb views of Nelson and Tasman Bay. Above the hut the landscape becomes open alpine tussock, with mountain daisies scattered throughout in summer. 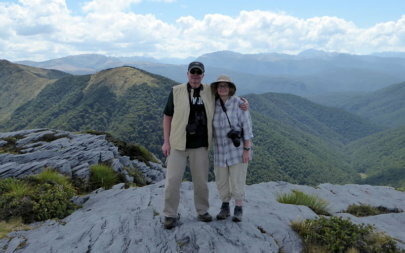 Superb views are had to the imposing Karst rock summit, further into the park and back toward Nelson Bay and Abel Tasman. We normally picnic on the ridge above the hut, and clients can choose to walk further toward or up to the summit before returning. Suitable for all ages with a moderate level of fitness. The track is wide and well maintained to the hut, then becomes an alpine route trail thereafter. The actual walking time is from 3 – 6 hours depending on long you wish to walk. 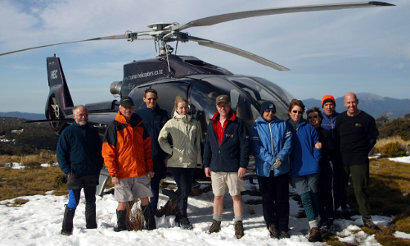 Your Simply Wild guide will collect you from your Lodge or hotel at a time to suit you, and return you later in the day. Travel time to the Mt Arthur carpark where the walk begins, is around 50 minutes from the Nelson City or Marahau areas, 25 minutes from Ngatimoti area. The price includes your private guide for the day, transport by luxury vehicle to and from the walk, lunch, snacks and water. We have day packs and walking poles available if you require them. We have spare clothing such as fleece pullovers, wind and rain proof jackets available. We do not have footwear. How hard is the walk? 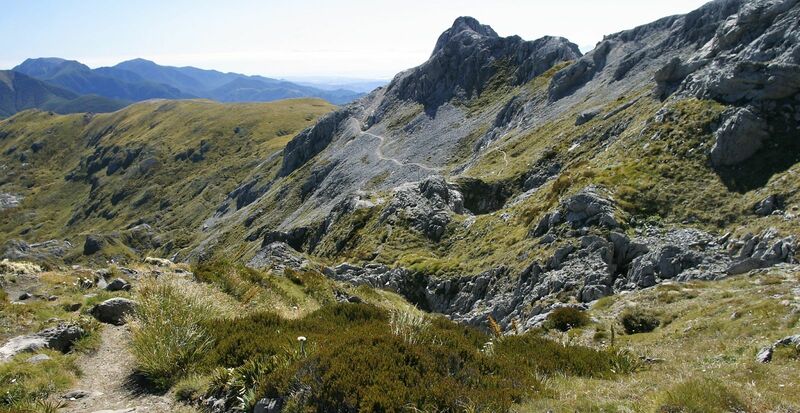 The track is around 1 – 2 metres wide and well surfaced with two steady climbs interspersed with a level ridge section. 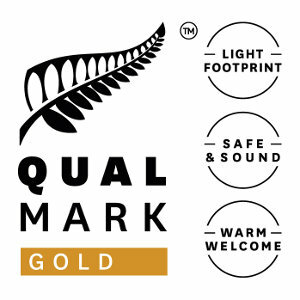 It is suitable for a wide range of people who walk regularly. For those who wish to extend themselves a little more, the trail continues as a narrow path to the summit. Trainers or good walking shoes are sufficient footwear, a warm fleece, windproof jacket and hat are useful. We have day packs and walking poles if you require them, and can also supply clothing if necessary.